Nice video. Were there any rumors that they wouldn't be keeping the old trains from CS? The artwork released by Disney shows red and blue trains, but there's been no confirmation as to if they will be new trains or repaints of the old. A new SILA video taken Wednesday 3/28/18 viewing the SWGE construction from the M&F parking structure. A lot more steel support structure for rock work has been installed on top of the lower building to the west of the main BE show building. 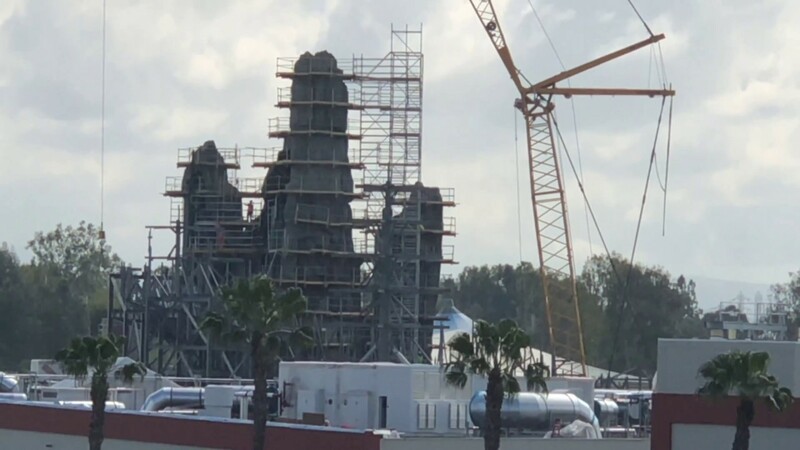 They're moving along nicely with the rock work on top of the BE show building as well...it's going to look quite impressive from inside SWGE when it's finished, it just keeps getting better and better. It also looks as thought one of the large crawler cranes has been removed from the site leaving the one closer to the MF building. 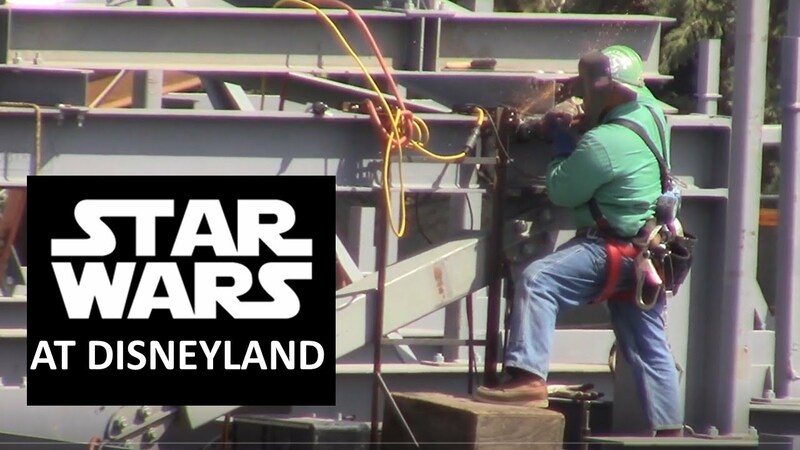 I've been anxiously awaiting the latest SWGE construction video from Yensid 55 and here it is. As usual another great update from Mark and his daughter Megan. 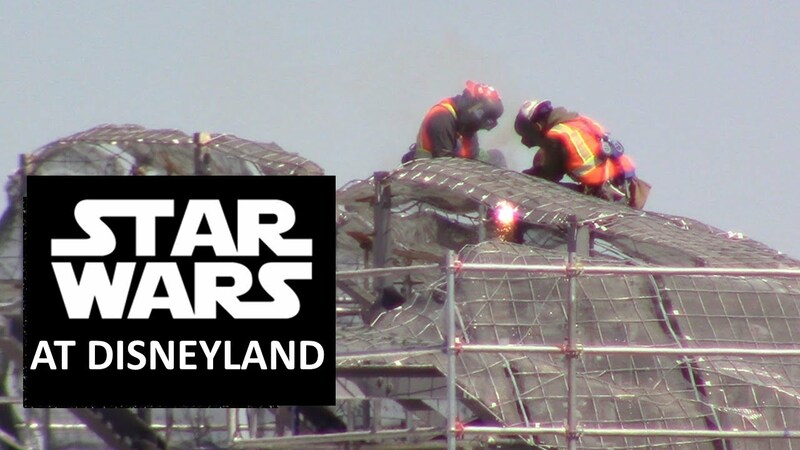 This video shows the development of Star Wars: Galaxy's Edge (aka - Star Wars Land) at Disneyland during the Month of March 2018. Two new SILA videos taken Wednesday 4/4/18, this one showing the SWGE construction from the M&F parking structure. More steel support structure for rock work is being installed on top and around the side building to the west of the BE main show building. Some concrete has been added to the steel wire and mesh rock work forms on top of the BE show building. 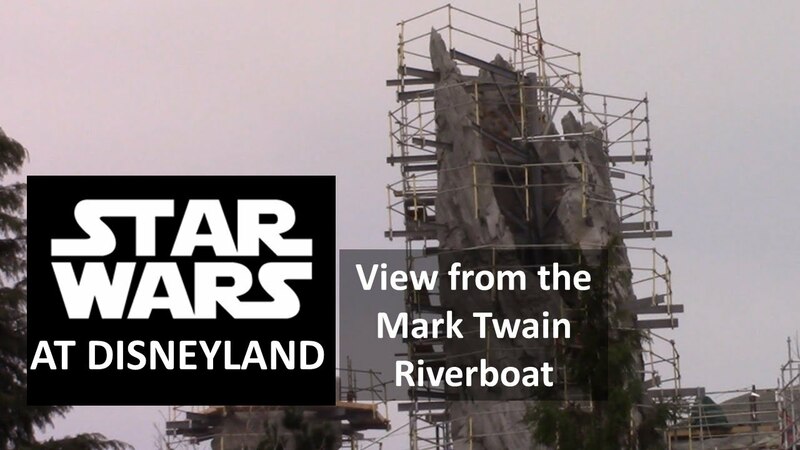 And this one showing the SWGE construction as viewed from the Mark Twain. It's looking impressive as a backdrop for the Rivers of America...just keeps getting better and better. 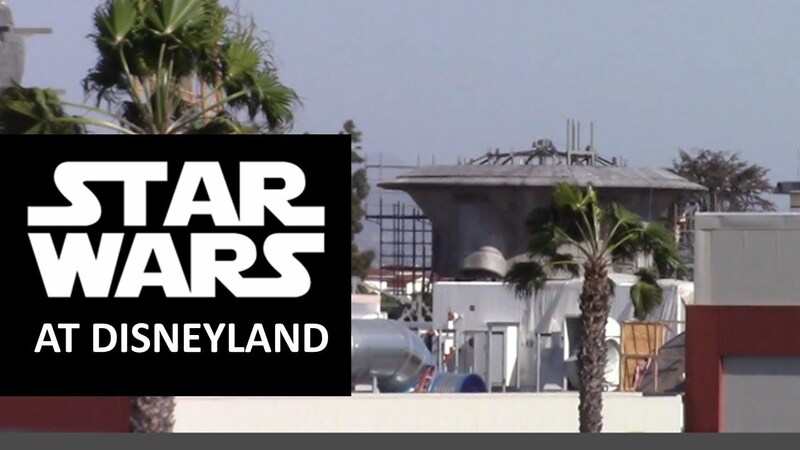 A new SILA video taken yesterday 4/12/18 viewing the SWGE construction from the M&F parking structure...a really windy day. At 1:12, a good view of one of the cylindrical structures protruding above the rock work on the BE show building. A lot of trees have been placed on top of the western most portion of the auxiliary building to the west of the BE main show building. 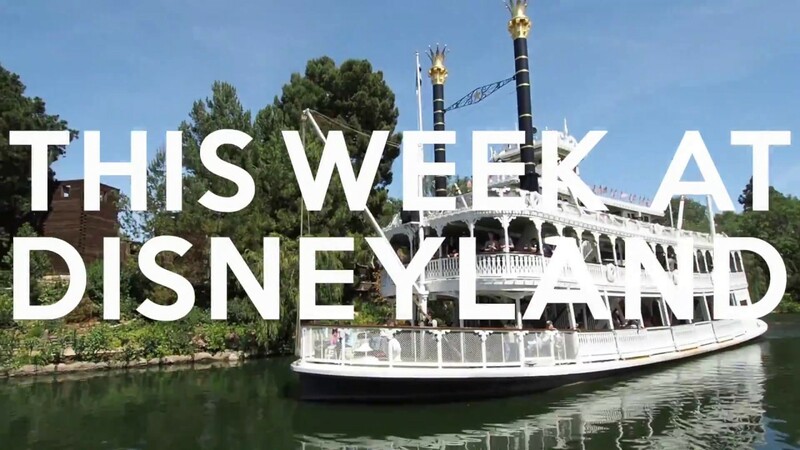 I started a new video series called This Week At Disneyland, the hope is to make well-produced videos that make you feel like you just got to go to Disneyland with a fellow super fan. Give it a look if you got a minute and let's go to Disneyland together! Sorry I accidenlty posted in the wrong spot and it woulnd't allow me to delte it. Sorry again! Blogmickey has posted recent overhead images of Galaxy's Edge from Nearmap. Do you know what date those were actually taken? The date on the photos is 4/18 but these appear to be a few weeks old. Based on Nearmap the image was taken 17 March 2018. Looks about right. That's awesome! Now where did I put those thirteen parsecs? Look how far along the other various buildings are. Construction is definitely moving at a deceptively rapid pace, compared to how it may seem from all of the construction videos. One thing I really like is that parts of SWGE will have a layout kind of like NOS, in a way, with twisty pathways around oddly-shaped and sized buildings. I even see what looks like a (dare I say it?) courtyard between some of the shops. It may not be ideal for handling the crush of guests that will initially be there, but as things normalize, having all of that character in the architecture will be great. 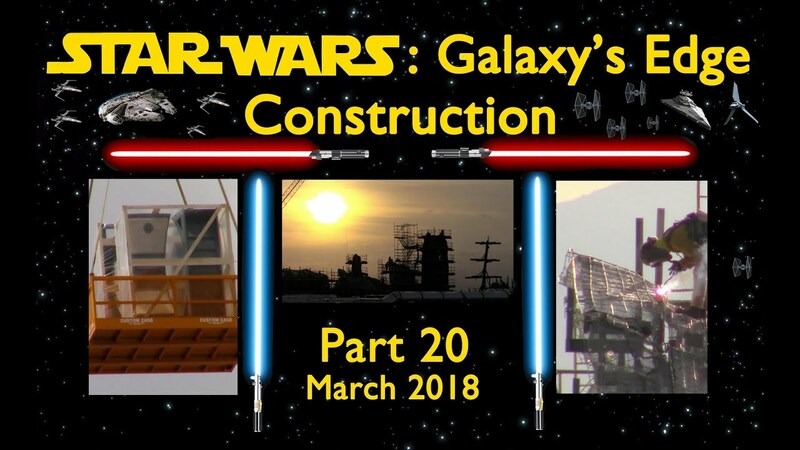 I just wanted to add.....about halfway down the blog post they talk about how they seem to be building a spaceship in front of where they are building the Falcon. If you look carefully enough you can see that it's just the large yellow crawler crane that's sitting there, not a new ship lol.